And the point of history is ……? A few months ago I was somewhat disappointed to see a contributor on a political forum decry the study of history, and with quite some vehemence too. I’ve no idea who the fellow is nor what his background may be yet it struck me as a great tragedy that somebody of reasonable intelligence should be quite so ignorant of how the subject can enlighten the present for those who care to peruse the past. This was brought home to me the other day when reading a paper on the subject of wage levels during the industrial revolution. Could a topic be any more dry and devitalised? On the face of it, hardly, but dig a little deeper and some quite thought provoking points emerge. Over the last couple of years the argument has emerged that factories bloomed in Britain due to the relatively high wages being paid to the workers who could in turn afford the goods being produced. The paper solidly debunked this theory pointing to the errors in calculating the ‘average’ wage in Britain in the 19th century upon which the new belief is based. It also went on to suggest that much of the new machinery being developed in the late 18th century was not being deployed to make manufacture more efficient per se, but to make it more profitable by enabling the use of unskilled labour, that is to say women and children rather than trained craftsmen. The classic example is given of Richard Arkwright who built his first factory at Cromford to take advantage of several factors including cheap labour in the form of the families of lead miners. The mill worked two overlapping thirteen hour shifts with the workforce locked inside for the duration while the minimum age was just seven, later raised to ten But it was not all bad for each employee was allowed a week’s holiday per year, just so long as they didn’t leave the parish, and the children were eventually given instruction in reading and writing so that they could maintain the factory records, unlike their illiterate parents. So that’s alright then! Thank goodness all this is in the past we might say while we breath a sigh of relief, and how lucky we are to live in an age where none of this happens anymore, except of course that it does although living conditions may not appear quite so dire. Living here in Ireland I am not starved of stories of the exploitation of workers during the recession with longer hours at lower pay and an indifference to the well being of employers that any mill owner of 200 yeas ago would recognise as quite satisfactory. Neither can we ignore the similarity of technology dividing the work force into the skilled tool makers (today’s computer programmers) and unskilled labourers working them (the rest of us who are required to use IT). Neither can it be denied that the present calls for the scrapping of the minimum wage echo the desire for mill owners to reward their staff as little as possible in a race to the bottom of the pay league, as if achiving that target is a position of honour. It is quite clear that no consideration was then given to the well being of the workers with wages often not being enough to buy sufficient food to live on and yet we hear the same complaints of the masses being overpaid in modern times with no consideration as to the cost of survival today, let alone enjoying some sort of life. One can’t but help feel that It’s not so much that history has nothing to teach us as that there are those who don’t want to hear the lessons. This entry was posted in Uncategorized on February 23, 2014 by Triplemanr. Full frame and moving on. 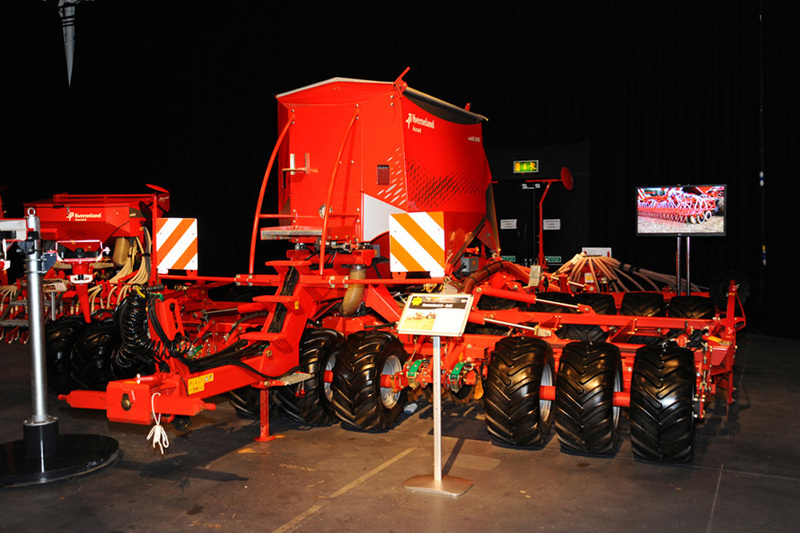 A shiny new piece of farm machinery sitting in an anonymous exhibition hall somewhere in the world. 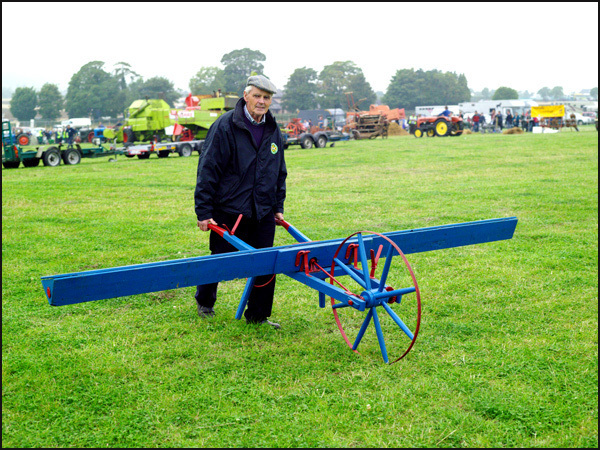 Nothing exceptional about that in itself although Kverneland (the manufacturer) was obviously keen to have it’s latest offering on display and many visitors to the show were equally impressed to see this air drill in the flesh, for it is an impressive machine. But what is of note (to photographers of long experience at least) is that this sort of image exists at all. In the days of film taking pictures in these dark conditions would have been quite a task involving flash heads, tripods, long exposures, multiple shots, special film and so on to get it right. To simply stroll in with a hand held SLR and and walk away with it would have been a miracle but thanks to digital technology the impossible now happens. But, and there is always a but, it cannot be achieved with just any digital camera or mobile phone and it is this sort of image that reinforces the importance of using a sophisticated camera to achieve the best results. It is said that good photographs can now be taken on any reasonable camera, and it is true. However, that is like saying that any car will go 100mph if you find a steep enough hill for it to go down. Compact cameras, mobiles and even dSLR’s are designed to work in optimum lighting conditions but the measure of a camera’s ability is not how good it is at catching smiling faces on a sunny day but whether it will take photo’s of …. well, a seed drill in an almost blacked out room with only a spotlight to illuminate it. This is the equivalent of asking a car to drive at 100mph up a steep hill let alone on the flat and you need to choose a vehicle with a level of performance that enables it to do what you want. Big motors are not cheap to buy or run and just like motoring, camera power comes with unfortunate costs. My experience with digital cameras started off with a Pentax around nine years ago, a great little camera and I was hooked, but the company didn’t appear to want to move on from this base so I swapped to one of the big two names. Alas, this relationship soured as the camera didn’t live up to the hype so back to Pentax who were now going somewhere it seemed. Five years down the line and they had ground to a full stop again. What a shame, the K5 could certainly hold its head high in the company of ‘better’ cameras and was, for me, a great leap forward from the K10 that had preceded it, but development never really progressed from there and despite countless rumours and half promises Pentax once again sat on their hands while the big two rushed forward with full frame cameras and sophisticated image engines that could deliver results such as you see above. For the second time I (and other hopefuls) had been left behind with our money in equipment that was no longer comparable to the best. It won’t happen again for last year I traded it all in for a NIkon D3 that has stunned me with its virtuosity and leaves the Pentax sadly bobbing in its wake far behind. The moral of this tale is that although we may at times curse the pace and expense of technological change there is no doubt that we have to keep up with it in order to survive and offer the customer the quality they expect. Kverneland know this as well as anybody which is why their latest machine looks nothing like the device below and yet it does much the same job. This entry was posted in Uncategorized on February 16, 2014 by Triplemanr. It is the ongoing problem of writing factual articles and books, upon what source or sources of information to base your account of the subject? 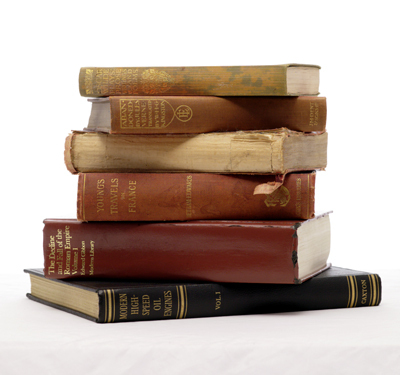 There are of course a plethora of choices ranging from the totally superficial to the incredibly well indexed and deeply researched and whilst one would obviously prefer the latter it is rare that the item you are working on has been covered in such detail. Should the information not exist in such desirable form then it’s a question of getting as close to the ideal as possible within the time and, more importantly, budget available. It would be wonderful to spend the days chasing down the finer points of French Motorcycle manufacture in the 1930’s but it’s finding somebody to pay me to do it that’s the issue and explains why it doesn’t get done too often by anyone. If there are no academic papers available then books by respected authors are the next best thing and this is where the greater part of the worlds useful information is held. The web is often cited as being an extraordinary encyclopedia but it becomes less useful as a primary source with each passing year as it descends into little more than a glorified shopping channel. Certainly sites like Wikipedia can be useful in providing an introduction to a subject but unfortunately it can only be considered a starting point for investigation rather than the ultimate authority. I am a great fan of its intention but there are just too many people and organisations that would wish to manipulate it to further their own interests which is a terrible but unavoidable consequence of its open nature. Of course there is always the option of talking to those with a knowledge of the subject but as with the web one has to be careful about considering such information as chapter and verse. Some folk do have a firm grasp of the subject (machinery dealers for instance obviously know their goods) whilst others are just good at talking. It can be a mistake to take everything at face value until you have checked it out against other sources or there are other indicators of the information’s integrity. The classic example I have of this is a photograph of a vintage tractor proudly displaying its build date as being seven years after the model ceased to be produced! It’s a nice image with an interesting story, but discretion insists it’s not used. If there was one single font of knowledge that was trustworthy and complete then writers and authors would have a much easier time of it, but if such a virtuous spring did come into existence then we would as likely or not be found surplus to requirements and that would be a tragedy of its own. This entry was posted in Uncategorized on February 3, 2014 by Triplemanr. Although beset by all sorts of economic problems Tipp has always managed to come up with a Pride of Tipperary who is of great credit to the town and surrounding area. 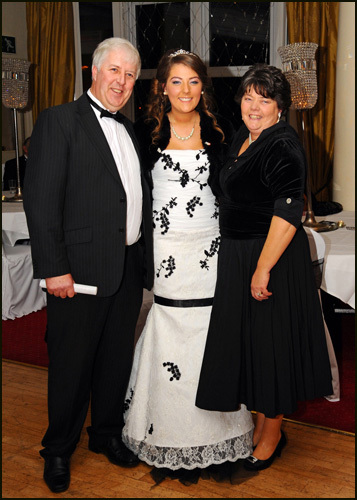 This year is no exception with the crown being worn Donna Breen who is pictured below with her justifiably proud parents, Jim and Anne Breen. As part of her tenure Donna organised a Winters Ball at the Aherlow House Hotel in aid of South Tipperary Hospice and a new resource centre for those who have been diagnosed with cancer. The latter, which is a new venture with rooms at the Enterprise Centre, was founded by Jennifer Jones who had herself battled ovarian cancer. Named the ‘Jennifer Jones Circle of Friends’ the organisation is there to provide information and aid to those who have been diagnosed with the disease, support that was not available to Jennifer in her time of need which was a situation she was determined to rectify upon the return of her health. This she explained in a moving and powerful address and both she and Donna carried the room with their heartfelt speeches seeking donations to help the worthy causes they represented. All in all it was a tremendously successful evening and it was a privilege to be asked to capture the event and so help in a rather minor way. Donna with her Parents Jim and Anne. 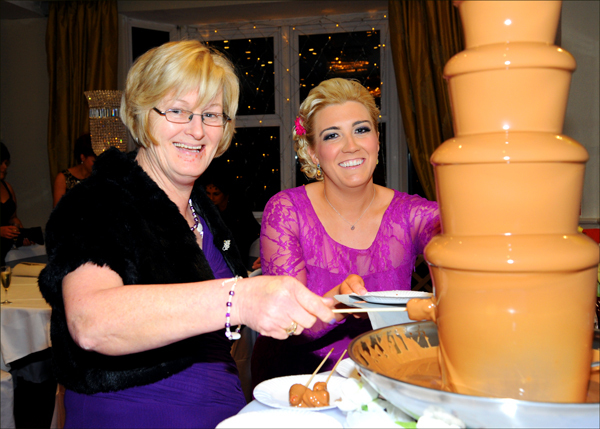 Last years pride of Tipperary Aoife O’Meara at the chocolate fountain with friend. This entry was posted in Uncategorized on February 2, 2014 by Triplemanr. A passion for motorbikes and photography fused together in the creation of this picture. At first glance it’s just another trendy close up of a bikes fuel tank but if you look more closely you will note that the picture is in focus all the way through its depth, that is to say both the nearest and furthest handlebars are in focus at the same which apparently defies the physics of normal photography which insists that there is a single plane of focus in a picture and that the scene gets fuzzier the further away elements of the picture are from it . By increasing the depth of field (DoF) to include everything within the frame a much smoother and more pleasing image is created, details that would normally be out of focus are brought to life and the whole becomes clearer thus enhancing the viewing experience. There are times when the opposite effect is desirable, ie, a fuzzy background highlighting the main subject but in this case the clarity throughout is what makes the picture. The two methods of overcoming depth of field issues are, a) use a camera with a smaller format/sensor or b) reduce the aperture (increase the f number) to as small as is practicable. Both of these routes can result in a reduction of image quality or problems with insufficient light so here is a third way forward and it is known as focus stacking. Focus stacking is a made possible by digital cameras and requires a programme designed to undertake the task. The later versions of Photoshop have the facility or there are proprietary items like Helicon or Zerene which cost around the €200 mark and come with excellent reviews. However, if you just want to try the method out before spending too much there is a free download called CombineZP which is what I used here. So what’s the process? It’s really quite straightforward. You will need a dSLR and tripod and in this case a macro lens. First choose the subject, sounds obvious but it’s best to try one where DoF can cause problems, that way you will see the greatest benefits, and then choose the angle at which you want to shoot it. 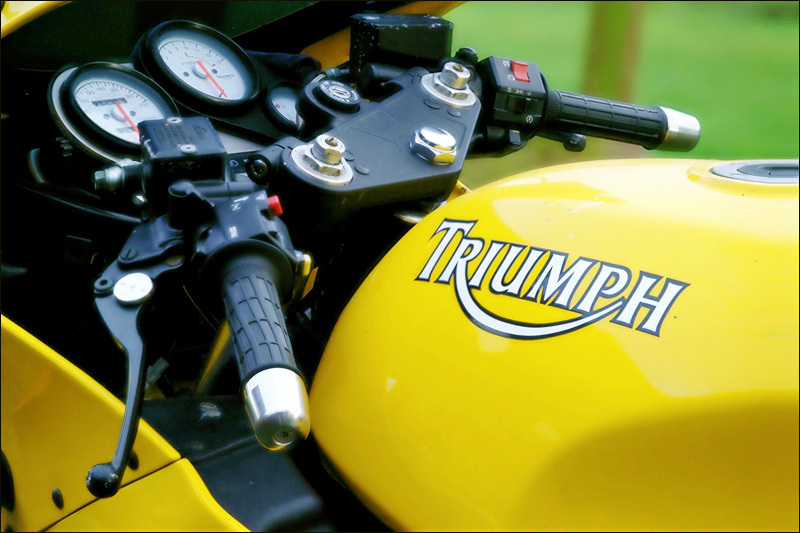 A close up across the handlebars like this would normally suffer all sorts of DoF problems so it was a good test. The idea behind focus stacking is to take a series of shots or sections of the scene, moving the plane of focus through the image as you do so. These are then loaded into the programme which collates them into a single image. 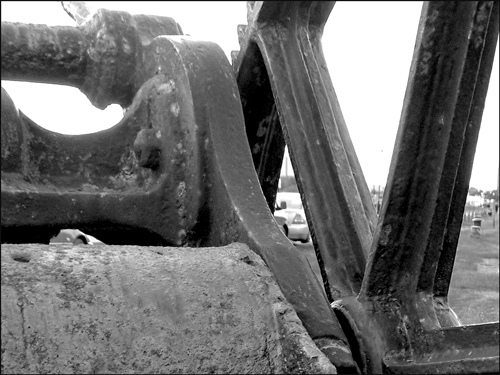 The way I did it here was to find the focal mid point of the scene, that is the focus point half way through its depth. I then focused on the closest point I wanted to appear sharp in the final image. Using the indents on the focus ring of the lens as a marker I then took a series of shots, moving the focus further into the shot each time by turning the focus ring by one indent at a time. Having reached the midway point I then took the same number of shots, focusing beyond it by the same amount each time. Having downloaded the images on the PC I then loaded them into Combine ZP which worked its magic and produced this finished item. You will need to trim the ‘output’ image with a crop tool before its finished but once produced it can be manipulated like any other JPEG. That’s the story behind this picture anyway, I’ve skipped some of the detail and the more technically minded might point to flaws in the methodology, but if you are familiar with the the concepts of camera function then it could be a rewarding diversion from ‘normal’ photography. The method worked well on the bike yet I am still struggling with smaller subjects such as a lichen covered twig and I am grateful to members of the Luminous Landscape Forum for helping me get this far with the technique.